One of the world’s drug capitals is also the winter home of Mexican farm laborers speaking around 100 languages. They come to Culiacan, Sinaloa, Mexico, each winter to harvest vegetables destined for the USA. 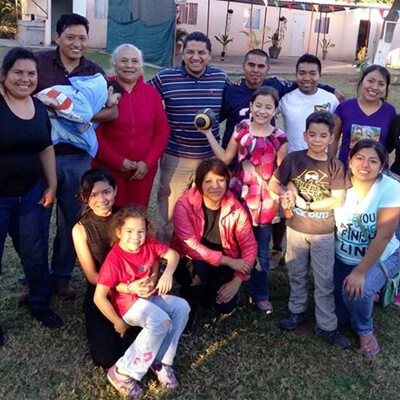 Around 100 workers from the USA and Mexico join together to travel to the migrant camps each night to give out recordings in the heart languages and invite the families to see a Christian video such as the Jesus Film in Spanish.